Really excited to participate at the ÄANIAALTO Festival in Helsinki! ÄÄNIAALTO is an annual sound oriented new media festival organized with the support of the Aalto University and the University of the Arts Helsinki. Friday 22: “Music For Rubber Tape” with the collaboration of a local performer @ Vapaan Taiteen Tila, Helsinki. Saturday 23: Sun Color (Live) @ Vapaan Taiteen Tila, Helsinki. So, the idea is to organize and document in a better way, better look my work…and of course, playing LIVE is also on the plans. I´m really happy to present this NEW piece for Haimney Gallery with very special collaborations: The singer and artist Monica Mussungo who will guide this experience with her voice, and visual artist MarlenePieroth who is responsible for the visual content. It is an experience and a listening exercise. It is a piece intended for the reception of sounds in detail and how these affects us individually. Through the use of sound in its purest and most fundamental essence, the piece is composed with different sections, dynamics, spatial reflections, vibrations, timbres, etc. 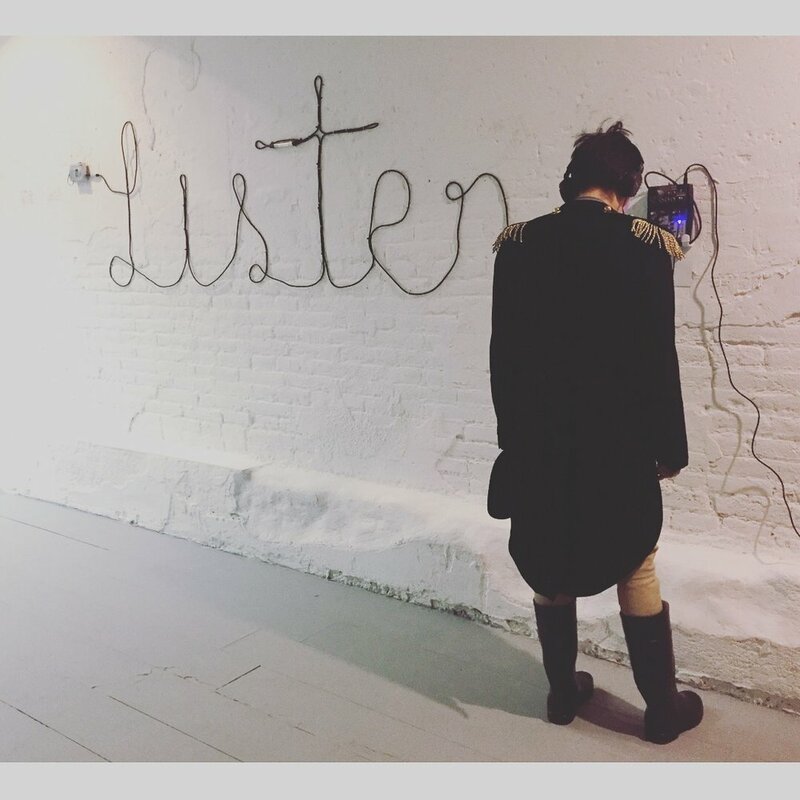 to be absorbed by the listener. The sound as vibration, the body as a receiver and the mind as a guide in a "sound travel”. 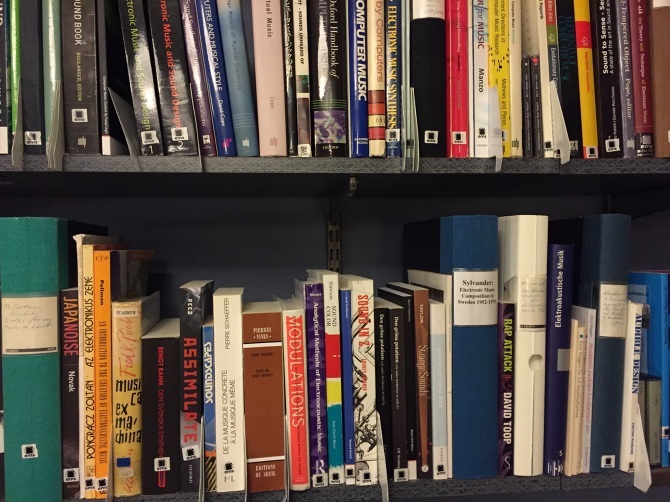 Sound travel is inspired and has as references the teachings of Pauline Oliveros (Deep Listening), the sound pieces by Alvin Lucier and compositions by Morton Feldman, among others. Sound travel is not a meditation or a therapy, it is a sound-spatial experience and an invitation to listen. Yesss!!! 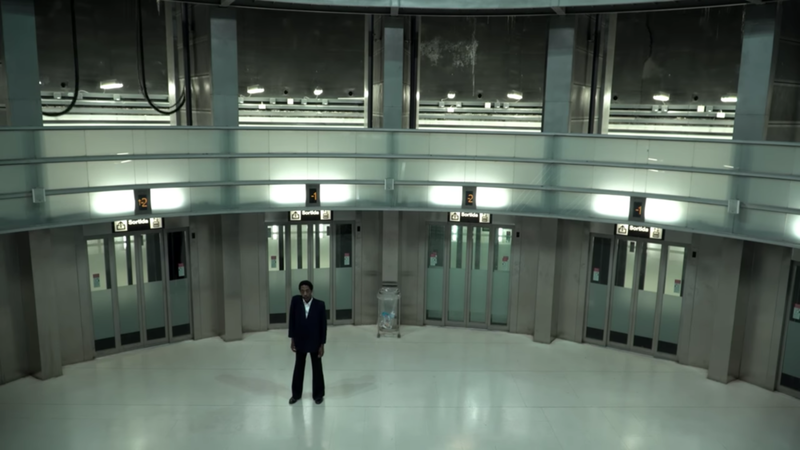 “Nyctophobia” the short-film by LAURA SALA with original music by Julio Cesar Palacio Won 2 prices last night at the TMB Subtravelling Gala. The Audience Award (most voted film by people out of the 128 participants) and the Jury Special Mention Award!!! Really proud of my favorite Director Sala Casca the wonderful cast and actors Álex Monner / Jorel E. Dandy and the incredible team (Albert, Iván & Iván). I got a nice last show for this year!!! a special Duo with Viola player Marie Takahashi (JP/DE) ... is a bit of a last minute show but I’m excited and happy to play this gig that is also my PRE-BIRTHDAY Party . These 2 weeks at Islington Mill has been so important to me! so I'm really happy to play a special show with great local artists before I leave. For this show I’m preparing a special new piece for stereo - is a little challenge because I only came with my laptop to the Residence so I’m building this piece with limited gear but I’m excited! I´ve been awarded with an “Artist Residence” at Islington Mill Art Center in Manchester, UK. I will be there from Oct 16th to 31st. Looking forward to be in the UK again!!! 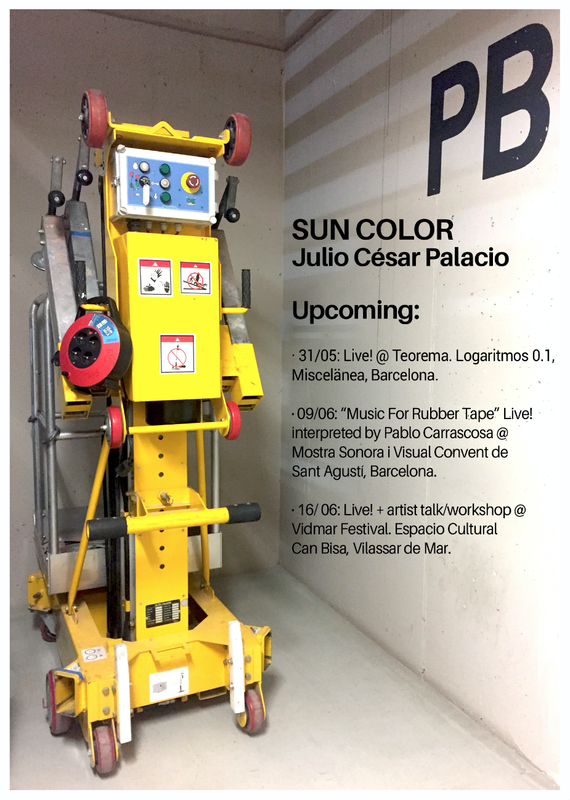 09 June: “Music for Rubber Tape” Live ! interpreted by Pablo Carrascosa Llopis at Mostra Sonora i Visual CC Convent de Sant Agustí, Barcelona. 16 June: Sun Color Live! 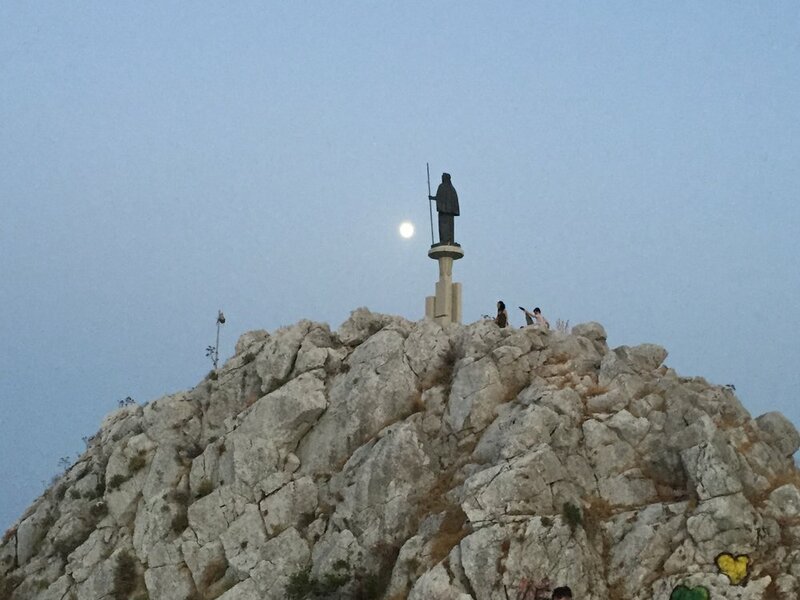 + Artist talk/workshop - Vidmar Festival Vilassar de Mar. The MOVISTAR LOOM FESTIVAL was amazing! I got the change to try my piece "SOUND RACE" for the 1st time in a huge industrial space with the Audience and I was really happy to see the people having FUN with the RC Cars and the sound. The SUN COLOR Live! was a great experience and I´m really thankful to Laura Sala Casca for the incredible visuals she did for me... it was another level!!! here some pics of the Sun Color Live! with Laura Sala Casca (visuals Live!). Thanks to the LOOM Team and Movistar Festival! My next gig is one of the most exciting ones this year ! The MOVISTAR LOOM FESTIVAL is this SATURDAY 19TH MAY. I will present for the 1st time my piece "SOUND RACE" from the series -Sound Movements- this time for 4 RC CARS (Quadraphonic sound composition) and the audience will be free to play the piece at the amazing space of UTOPIA126. SUN COLOR will perform Live! with a NEW VIDEO PIECE for 3 LARGE SCREENS in Collaboration with Visual Artist & Filmmaker SALA CASCA. This is a BIG highlight for me. Laura developed a concept of a new Allien rising and the result is incredible so I´m really excited to have her joining me and working on visuals LIVE! We had SO MUCH FUN during the video recording and I want to THANK deeply to the team: staring from the Director Laura Sala Casca, camera and assistant Albert Murillo, actress Blanca Zuria, make up FX team Diana & Mar Jorge. I´m performing tonight @ Màgia Roja! This is gonna be GOOD ONE!!! Sun Color (Live) and Non-Oxymoron (Live). Concert at 8.30 pm (SHARP) @ Màgia Roja / Carrer de l'Alzina, 20, Barcelona. 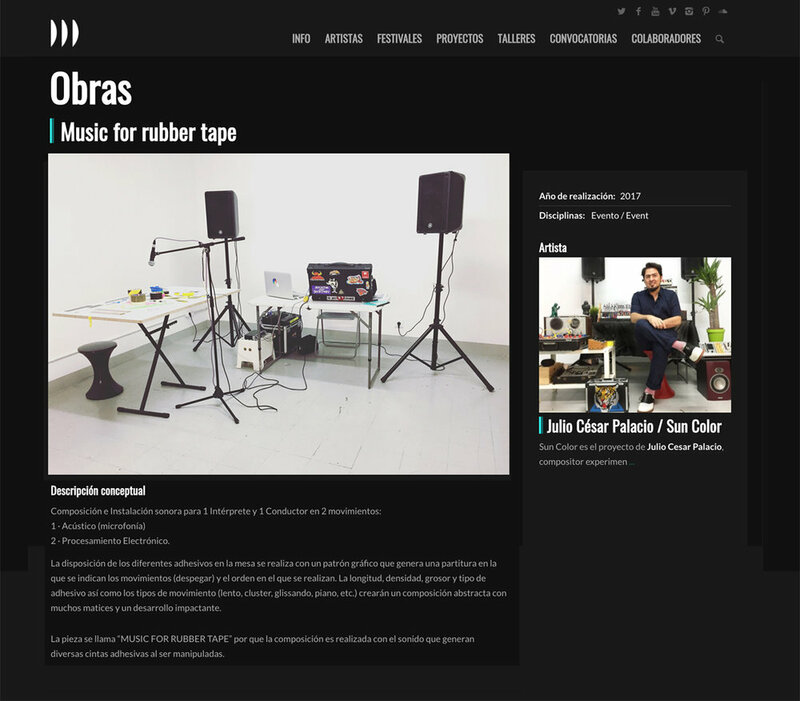 "Music for Rubber Tape" will be the inaugural piece of IN-SONORA (Sound Art Festival) in Madrid!!! this will happen on Tuesday March 06 at Swinton Gallery at 8pm... FREE ENTRANCE! Really happy and THANKFUL to all the people who made my exhibition “Super Stereo” possible!!! Glad for all the Love & great feedback about the pieces, the concerts and all around. 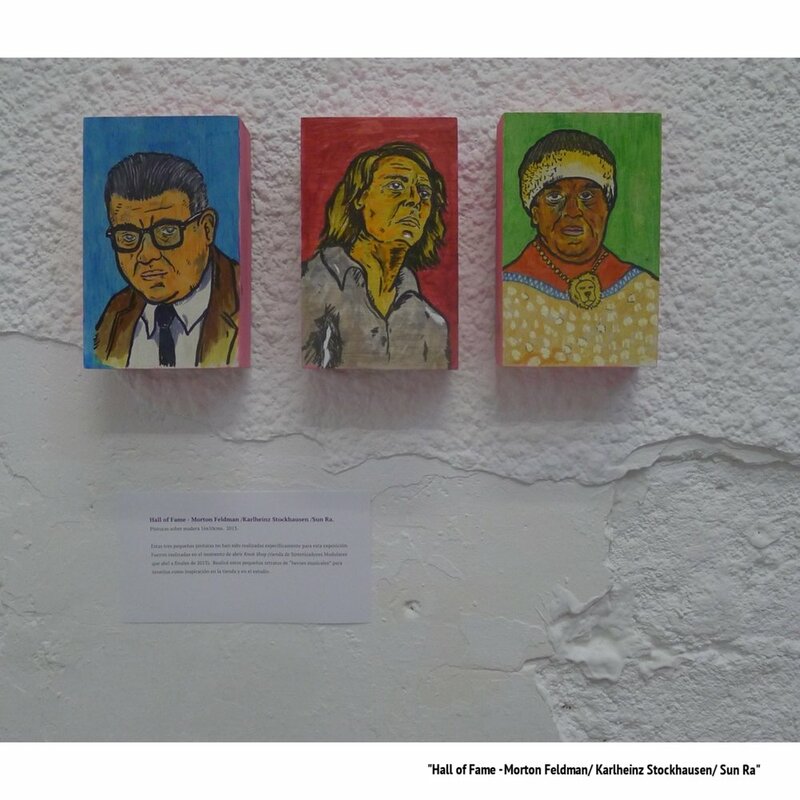 Thanks to Cachichi, The White Gallery, Cherry Adam, Vanessa LP, Emiliano Hernandez Santana. I will present my latest sound pieces and installations at The White Gallery Barcelona in a Solo Exhibition called "SUPER STEREO" opening on Feb 10th with Live! performances. I am really excited about this one. I´m just arriving from a magical place! 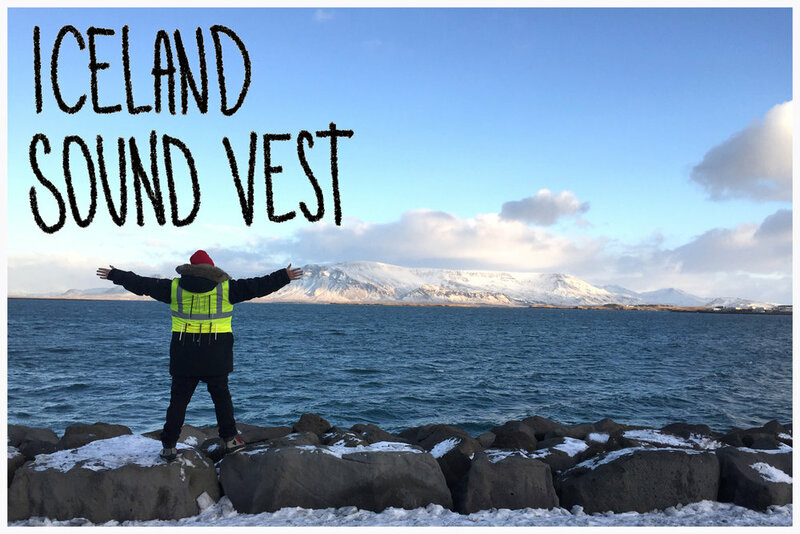 I spent a week in ICELAND doing some field recordings and videos for a upcoming projects and sound pieces. It was a life changing trip, just going there and enjoying the wonders of nature. It´s been a CRAZY and exciting MONTH! 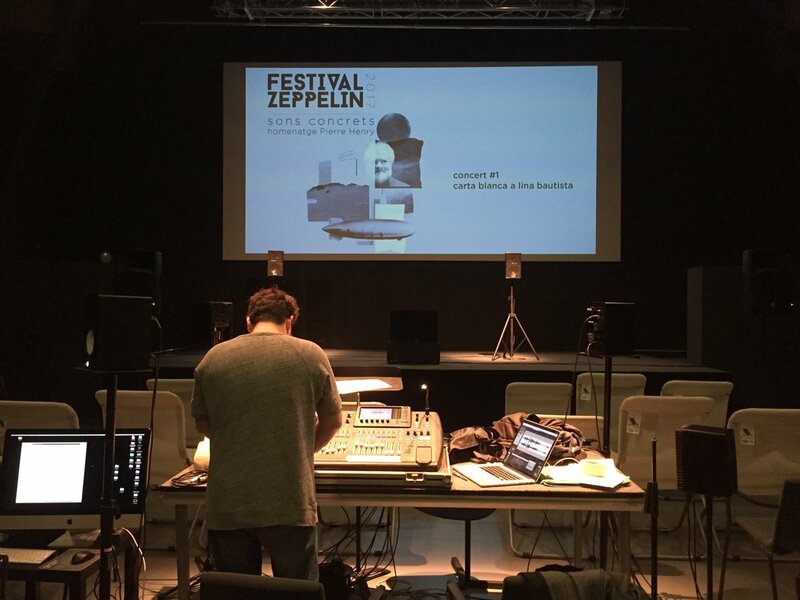 First I presented my piece "Geometrical Sound Essay" at the Zeppelin Festival 2017. 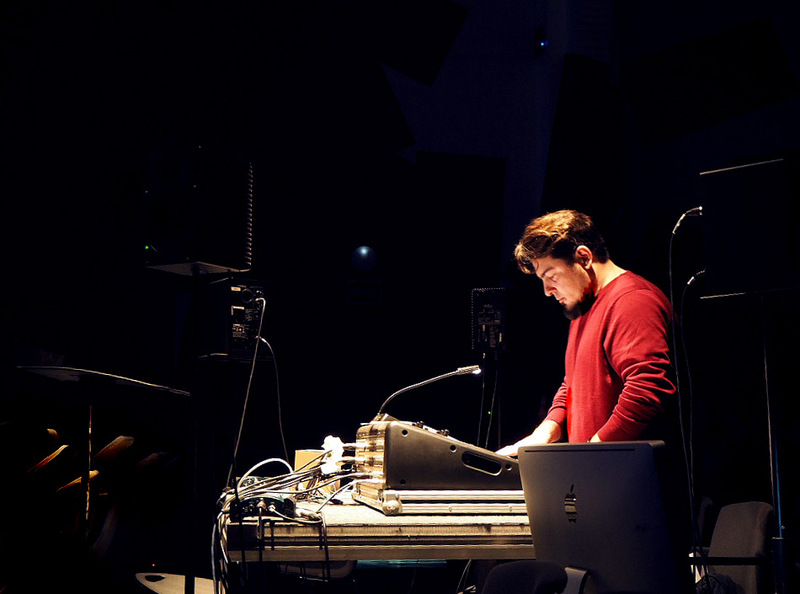 I´ve been always a big FAN of this festival dedicated to Electro-Acoustical Compositions, so I'm proud to attend this time not as audience but as a composer and being able to do the Live Sound Spatialization of piece for more than 30 Speakers in such a wonderful Theater at the CCCB Museum. Many Thanks to Lina Bautista, Medín Peirón and Jose Manuel Berenguer. Here I post some pics by my dear friend Cherry Adams! After Zeppelin Festival I went to play for the 1st time in LONDON and PARIS!!! the highlight was to share the bill with my dear friend Lea Bertucci. We performed in London at the Great CAFE OTO! lovely place and people, really a special venue and I hope this was the 1st of many concerts I will play at OTO. Thanks to Fielding and all the Cafe OTO crew! I got this cool pic courtesy of Jonathan Crabb. I enjoyed so much the train ride from London to Paris on the Eurostar train talking about life and art with Lea, and then wen we just arrived to Paris we drank some coffee at a fantastic spot near the Seine. Paris gig was at Les Nautes and incredible venue just at the banks of the Seine, it was an event organized by Le Non Jazz and it was packed! one of the best gigs I ever remember, there was a incredible energy in the space and the event itself was killer with performances by local amazing artist Geal Segalen, Minifer (Shoboshobo) and of course Sun Color, Lea Bertucci. Thanks so much Jedrek for putting this gig up. I don´t have great pics of this gig, but I took one from Instagram -posted by David Baltran- and 1 pic with my dear Lea and the venue. TIME FOR LONDON & PARIS!!!! First, next Tuesday Nov 7th I will perform at the great Cafe OTO! it is the 1st time performing in London and I´m sooo looking forward to it. best part is that my dear friend Lea Bertucci is performing (together in London and also in Paris) and Patrick Ward, so this is a killer show. I'm so proud and excited to present my piece "Geometrical Sound Essay" at the Zeppelin Festival 2017 in Tribute to PIERRE HENRY at CCCB !!! this is the premiere of this new work and I will do the Live Sound Spatialization for 32 Speakers!!! Last show was amazing and what a magical place to perform! Is always a pleasure to perform with my dear Almudena Vega. This time we prepared a piece for electronics, flute and voice (some of the poems of Almudena's new book). 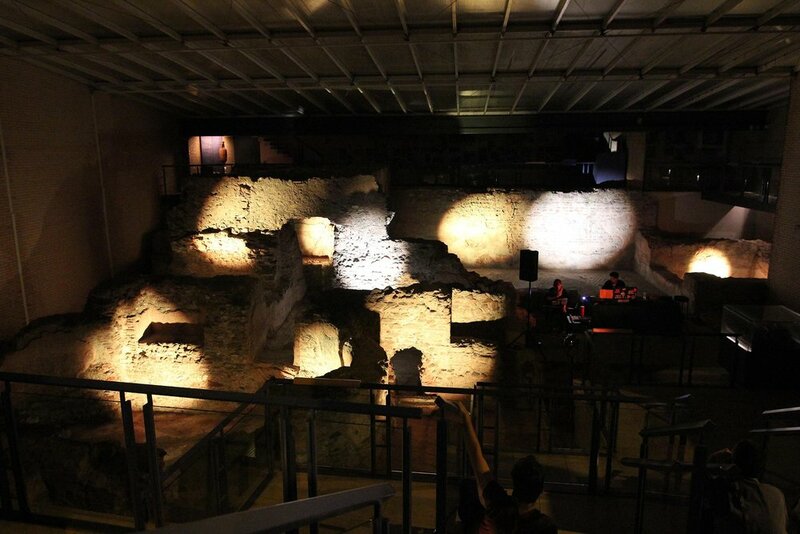 Here are some pictures of our performance at the beautiful Roman Terms from the Sant Boi Museum. THANKS to Vanesa and the Museum Director for inviting us! I have this cool gigs coming soon (and a few more to be confirmed). 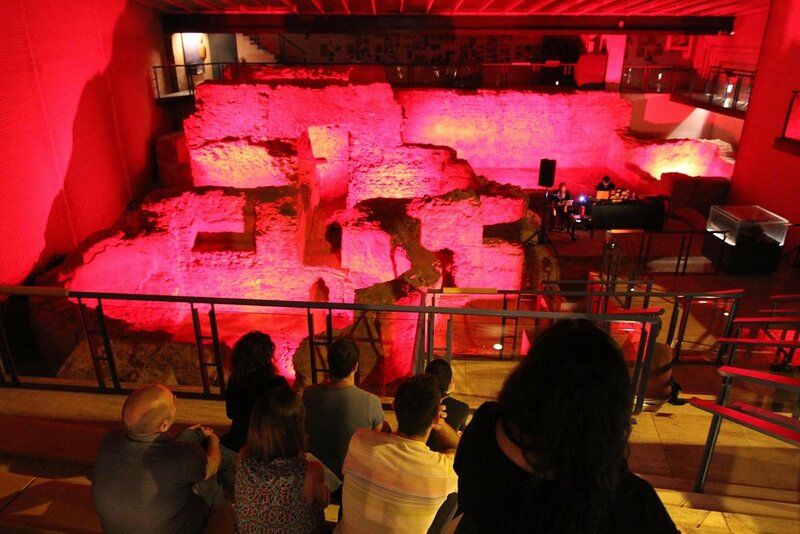 First one is with my dear friend Almudena Vega and she will read her new published book of poems with Sun Color music in an incredible venue: the Roman Terms at the Sant Boi de Llobregat Museum! I´m super excited for the show in London (November 7th) at Cafe Oto! The lineup is KILLER with my good friend the amazing NY Composer Lea Bertucci and Patrick Ward. 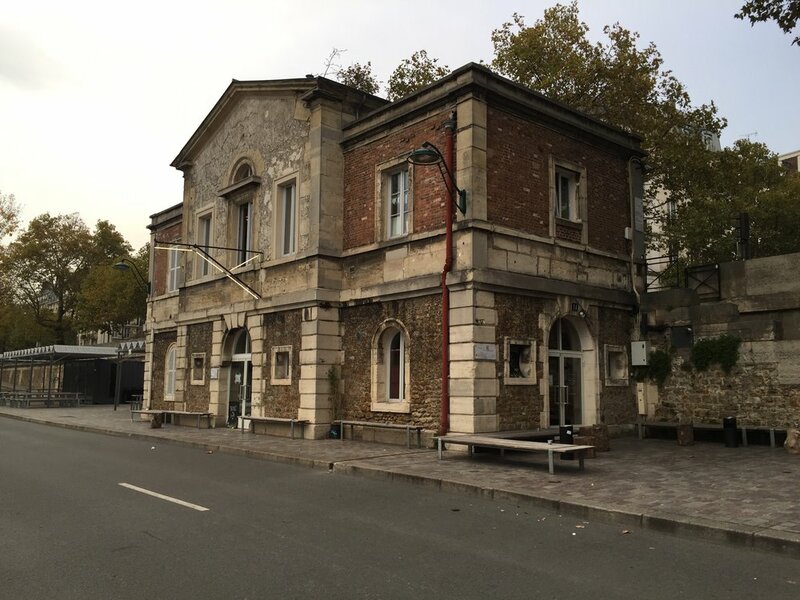 Next I will go with Lea to play in Paris a this cool venue on the banks of the Seine called Les Nautes. My Artist Residence at INDIGO (Palermo, Italy) was amazing! It was a week that I will not forget... good people, new friends, good food and lots of music. The SUN COLOR gig at the Catacomb Porta Di Ossuna was one of the most unique experiences that I ever had. Here some pics from my performance. 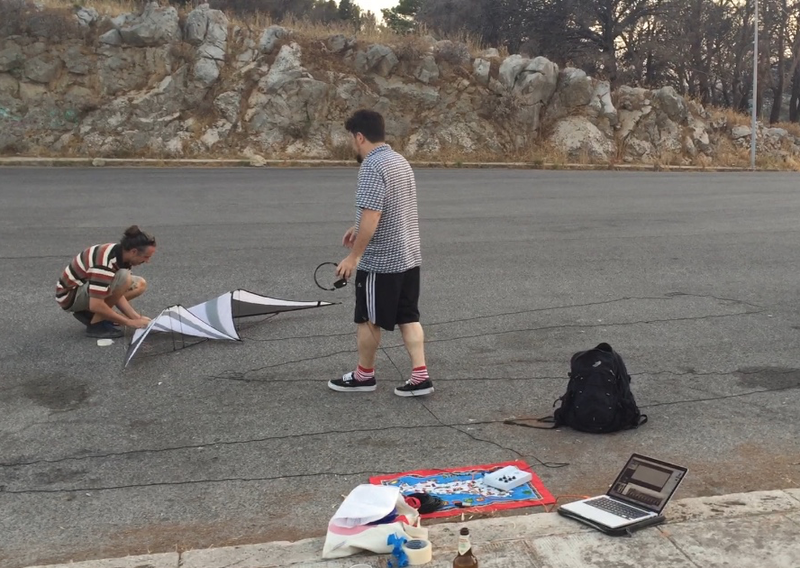 After the Catacomb show, on Saturday we did the piece · Sun Color the Kite/Wind Project. The amazing team from INDIGO with the Kite Master Gabriele. The place was magical Montepellegrino - Santuario Santa Rosalia. Thanks to the Team: Donato, Fabio, Gabriele, Sergio and Bonfa. 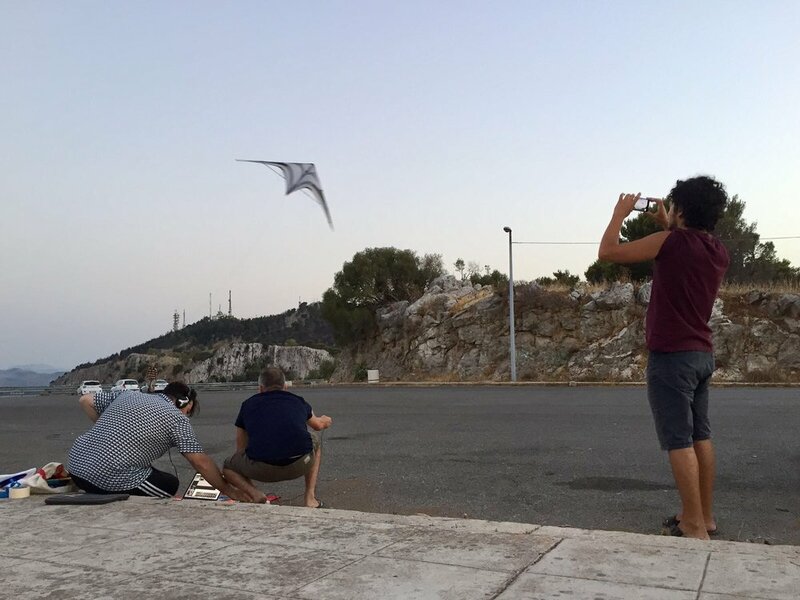 Here some pics and later on I will post a video with the KITE sounds. 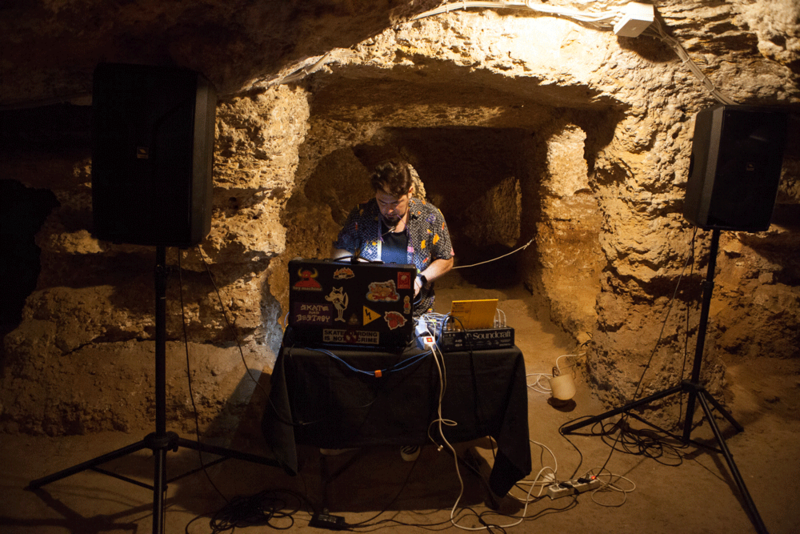 ...and the last adventure in Palermo, we hit the road (Fabio, Guilia and me) to the Grotte della Gurfa (Tholos Micenico, 2500 B.C ) to experience the acoustic phenomenons of this ancient space. We measure a reverberation time of about 8 to 10 seconds. Trully amazing! one of the coolest places I ever being. All this made my time in Palermo really wonderful. I will like to Thanks all the people involved, first of all the Team of INDIGO ART RESIDENCY (Donato, Fabio, Oriana & Francesco), Daniela from ArcheOfficina and her team. Ci vediamo presto SICICLY !!! Really excited about this! 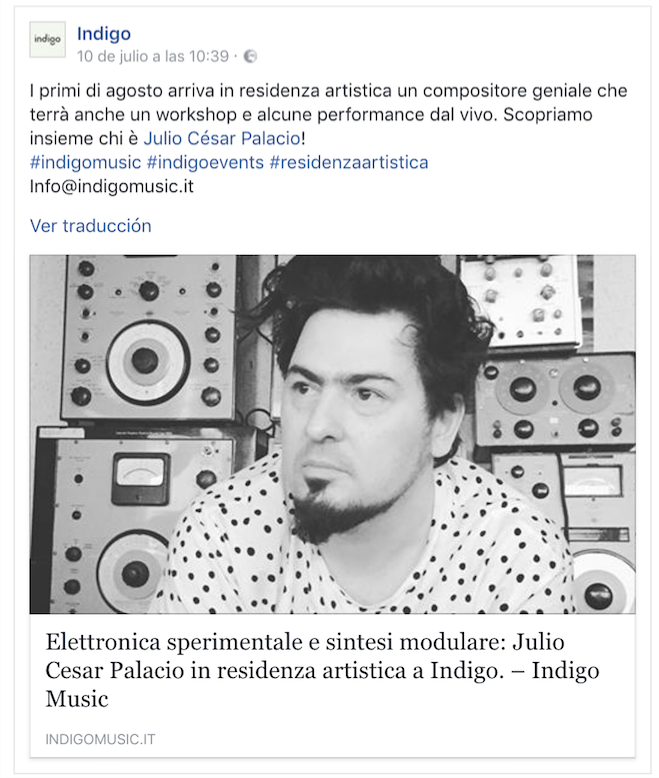 I will be a Guest Composer Artist in Residence at the amazing Indigo in Palermo, Italy from 01 August - 07 August. I will do a Modular Synth Composition Workshop and the highlight will be a SUN COLOR Live! at the Porta d’Ossuna Catacombs !!!! YESSSS MAMMA MIA !!! See you in PALERMO !!! I will give a Workshop/ Lecture - Introduction on Modular Synthesizers - on May 13th at Can Fugarolas in Mataró. Later that day there will be live shows by Sun Color (Live) and Hagal (Live). YEAH! This is such a nice event !!! 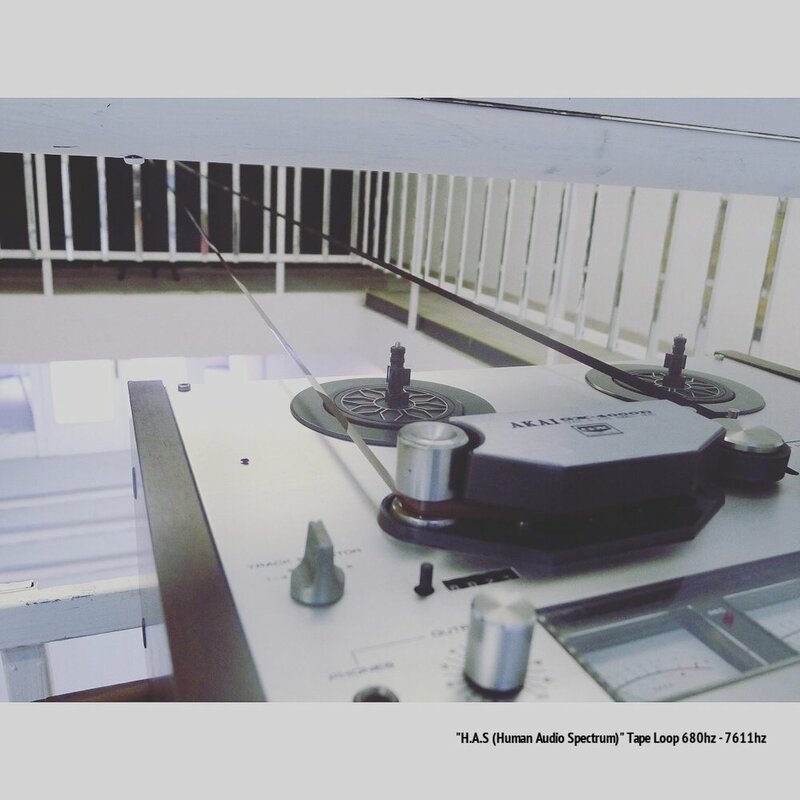 MUSIC FOR RUBBER TAPE : is a music for an amplified table pattern in which multiple Rubber Tape is displayed and by the action of friction (removing the tape) the sound is processed in real time... is a sound piece but also a really visual based presentation. 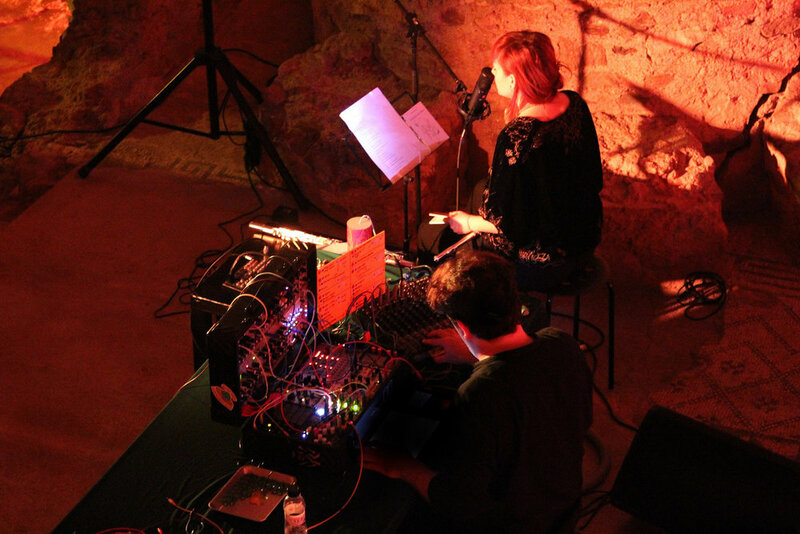 The piece is performed Live with the help of my friend Cherry Adams as performer (RUBBER TAPE MANIPULATION) and yours truly on the ELECTRONIC SOUND PROCESSING in real time. ( this piece is a Work in progress and this is the 1st performance of it). This is something really cool that will happen on Friday 31st March. I will put music to the fabulous Almudena Vega poems!!! im really excited about this presentation. Almudena is a great Flute player but also a great poet and writer... we´ve been preparing this poetry recital that she have done before with other musicians (with Piano and other instruments) and for the 1st time she will read her new poems with electronic accompaniment -Sun Color. Just arrived home from the USA !!! I had such a wonderful time visiting L.A for the 1st time (1st time West Coast). I want to thank my dear friend Cameron Stallones (Sun Araw) for helping me setting up some shows in Los Angeles. The gig at La Cita was fantastic, cool place, local artists and a great show, thanks to Michael, Jess and Mitchell it was a rad evening! It was really nice to perform at Dublab Radio! such a cool place and more than thankful to the wonderful Celia $3.33 and her program Section Cut for having me performing Live!!! the program is recorded and you can listen it on the Dublab website!!! Last but not least, I had the pleasure to meet one of my heroes :) the great Terry Riley and see him performing at the MOCA Los Angeles!!! yes a dream come truth! Thanks L.A and everyone involved!!! What a GREAT way to start this 2017. 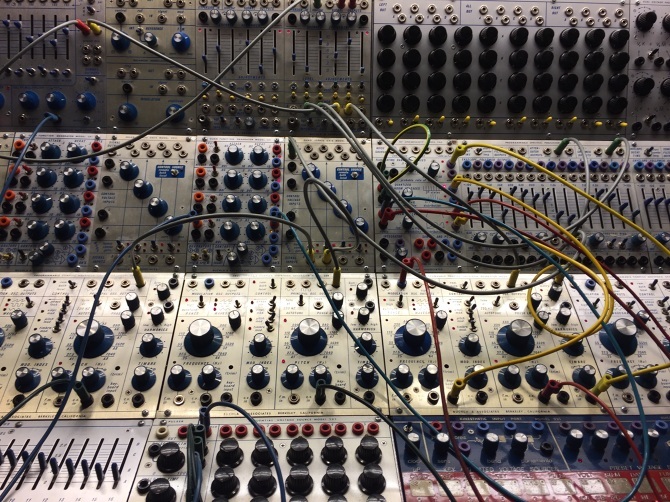 Tomorrow (Nov 24th) I will be giving this Master Class on Modular Synthesizers at the NIU Art Space. 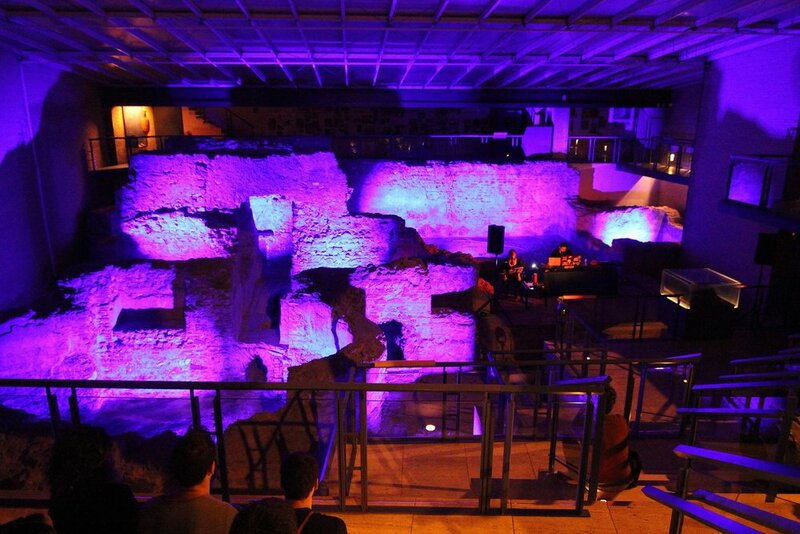 This event is organized by ABLETON LIVE User Group Barcelona. and SATURDAY I will perform LIVE at this great event called ONE DRONE DAY which is a 12hours of uninterrupted Drone music in a single space with a Quadraphonic system and adapted sound for relaxed listening, introspective and psychonautics. Im really excited about this concert because for the 1st time I will collaborate with Almudena Vega (Transverse Flute) and also a impressive group of contemporary dancers: Sabine Dahrenhof, Debora Torres, Elia Genís, Anna Romani and Amanda Rubio !!! The 2nd edition of the peculiar party-organized festival as a tribute to Andy Warhol and his multidisciplinary event 'The Exploding Plastic Inevitable. " 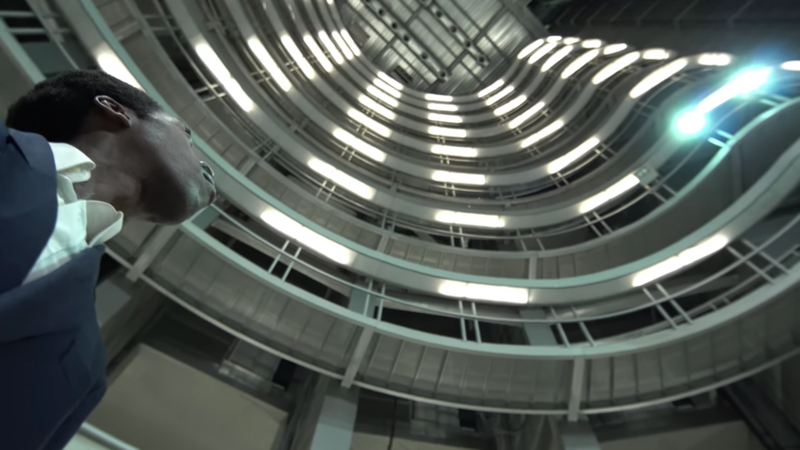 A unique encounter between dancers, musicians, choreographers and performers nonconformist, through improvisation, making Hangar Art Center (Barcelona) at the epicenter of the exploration stage and contemporary music for a day. Here some pics from the "SONIC ROOM" Installation!!! I really enjoyed this project, it was a pleasure to do it! Thanks to Lina, all the artists, Orquesta del Caos, Hangar and of course to all the people who came to listen and enjoy this installation. 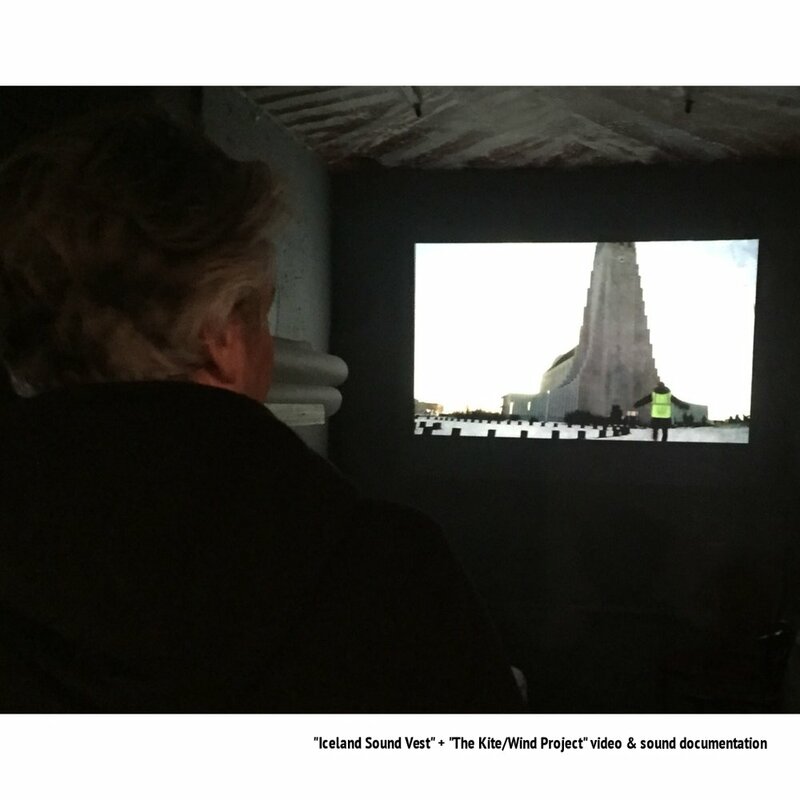 >Working on the 8 Channels Sound Spatialization Design @ Hangar Art Center. September is a crazy month! The Modular Day Festival this year in his 3rd Edition is coming on September 24th organized by yours truly and Befaco! that is a lots of work already... but since the 1st Edition of this festival I thought that it was becoming in a festival too much beat and dance oriented and the artistic and abstract part of the electronic composition and the "experimental" it was getting lost ... but actually this is the only part that I am interested to promote and show at this festival. 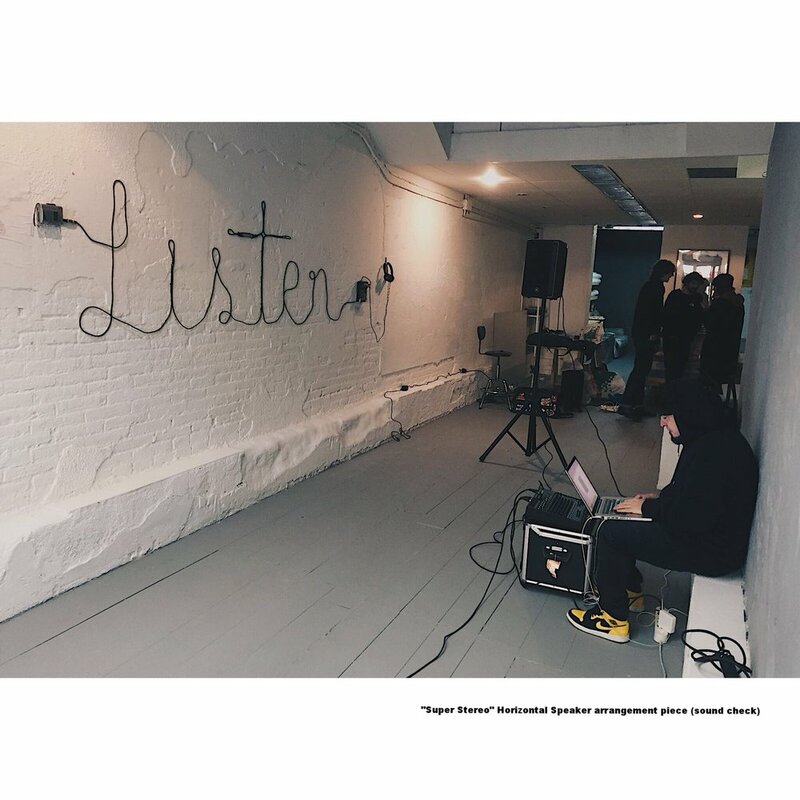 For this year I teamed up with Lina Bautista from La Orquesta del Caos, to organize and curate a special Exhibition focused on sound composers that are working with electronics and present their works in a Octophonic Speaker Installation. 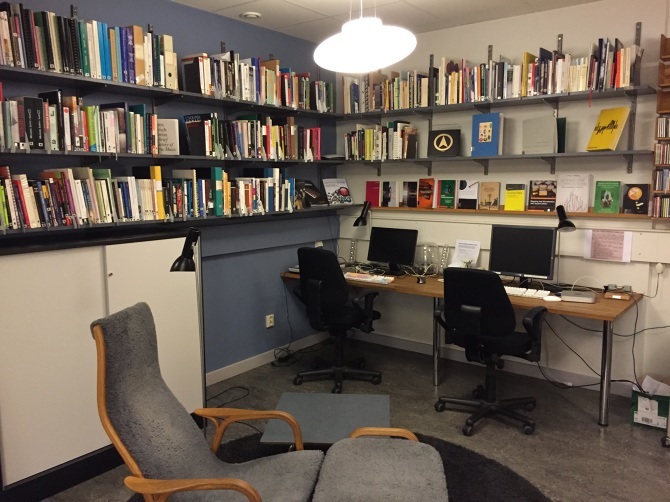 We called this "SONIC ROOM" because it is an exhibition in a room with a studied distribution of speakers in space and a special Spatialization made specifically for each of the composer pieces for the room. Really nice to see Sun Color on this list ! I just arrived (few Days Ago) from New York and just want to THANK my US Family G.Lucas Crane and Angela Moore for this lovely time and great shows! Big Thanks to brothers Greg Fox and Ed Bear for having me at home and inspire me with their thoughts and talent. Alexandra Drewchin for the lovely time we spent together! (Paul) Wall Peller and Toto for setting up a show and our wonderful trip to Rockaway Beach also Melissa F. Clarke for performing with us, and Lea Bertucci that came and hang at the house! Thanks to all the artists that performed in New York gigs: Nonhorse, Pam Finch, Sick Din, El Tryptophan, Melissa F.Clarke and to the venues: Detective Squad, Silent Barn, The Sump, Flowers for All Occasions. and big thanks also to Philly crew for set up that wonderful show at R&D Vinyl: Jim Strong, R&D vinyl crew, Daniel Fiskin (Dead Lyon), Synthetic Love Dream, Fers Yn Ri... and my dear good friend Erin W. Andrew, Makaela, Josh and the cats :) for having me at home and the Philladelphia Steak Sandwich! Oh, Yeah! It is always great and exciting to come back to NY (well, Brooklyn mainly :) ) to perform a few gigs with my talented and lovely friends... I will update and add more details once I´m there but here a little image with one of my favourite NY Knicks players back in that day! Màgia Roja is a not-for-profit organization and label created to unearth, promote and disseminate magic-inspired music both within and outside of the territory of Catalonia. It was created in the Gràcia District of Barcelona in 2007. This gig is TONIGHT! really excited to perform a Duo with Cello Wizard Alex R. Flaqué aka CELLOHERO! SUN COLOR Live! HEX -Experimental Audiovisual Event @ Centro de Arte Mutuo in Barcelona. NEXT GIG is in SAN SEBASTIAN !!! Im so excited about this one, I love the Basque Country, so I'm glad to be back for this incredible gig at the wonderful Dabadaba Venue. First I will do a Modular Synth Master Class / Workshop and then late at night the Sun Color Live with some great local artists! see you there :) AUPA! I had so much fun and enjoyed the studio and the city. This Saturday SUN COLOR Live! This Week I was invited to Bamboleo Radio Show by Red Bull Music Academy hosted by Frankie Pizá. It will be a perfect time to try the new visuals I´ve been working on for SC Live show!!! Sun Color representing Knob Shop did a conference at the Primavera Sound Pro called "Modular World" about Modular Synthesizers. Music Days... I made a conference about Modular Synthesizers! Thanks Madrid and MMD organizers and crew. Yes, we are BACK together… my homies NONHORSE (G.Lucas Crane) and PAM FINCH will be in town for a unique concert together at Miscelänea! 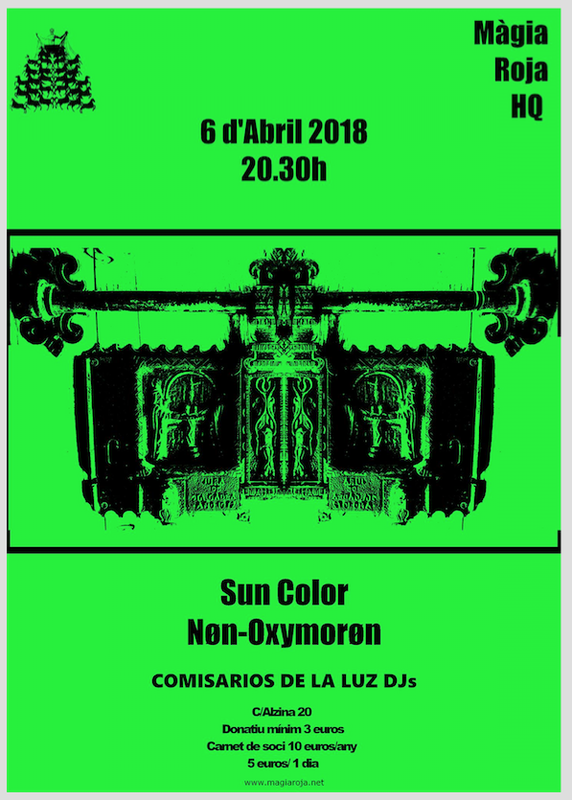 For this gig, Sun Color will try to explain what is going on during the performance…this is a way of explain in real time what is happening in this abstract type of music, what is the sound source, what´s the gear that´s being used, the transitions and movements. I just thought that sometimes with experimental composition the people think is weird, unexplainable and hermetic and hard to follow what the composer is doing, performing and how the sound and the whole set works… I will display a video projection in real time in which I will tweet (Twitter) explaining every aspect and movements that are happening in the performance. DUBLAB Radio Show LIVE from KNOB Shop …with Sun Color Live Set TODAY ! 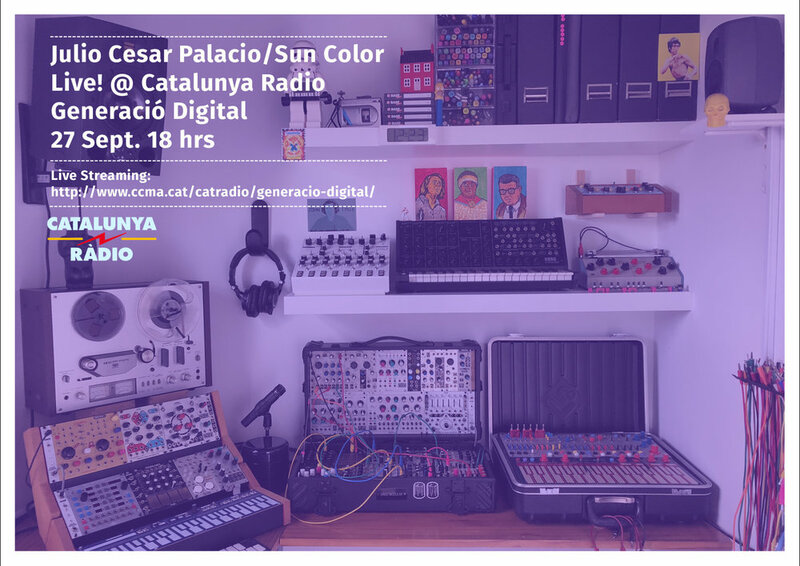 oday the good people from DUBLAB Spain will make their 1st Broadcast Live from KNOB Shop with some interview and Sun Color Live !!! Sun Color Live @ La Escocesa! ’m excited about this one, because is something special when an artist invites you to perform at his exhibition opening :). We never met each other but he thought that Sun Color will be a perfect match for his Art! 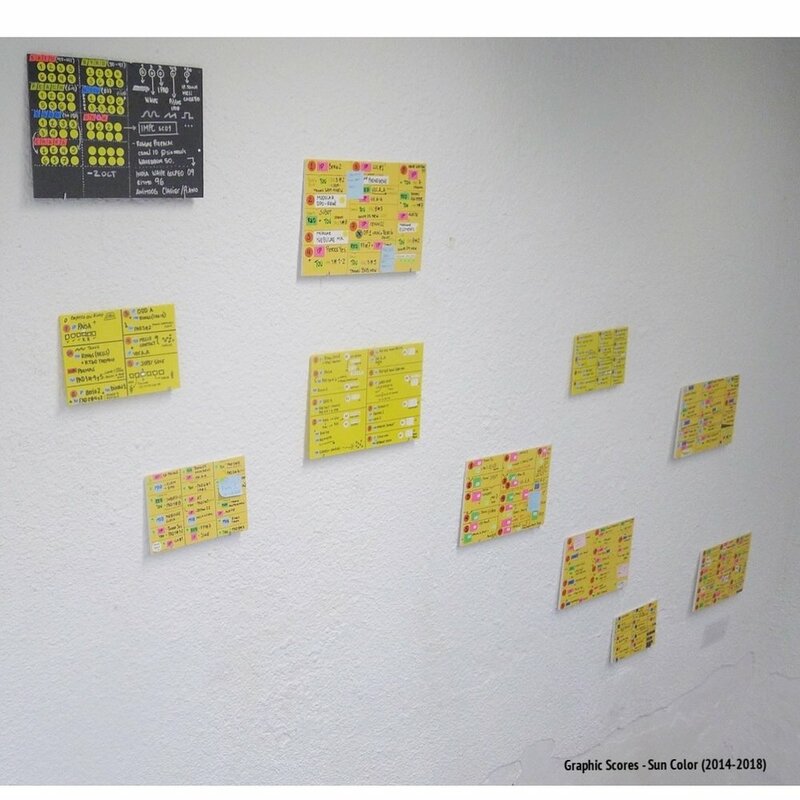 I really appreciate this and also the venue is that wonderful Art Space I performed last year called La Escocesa, truly inspiring place and really nice people! 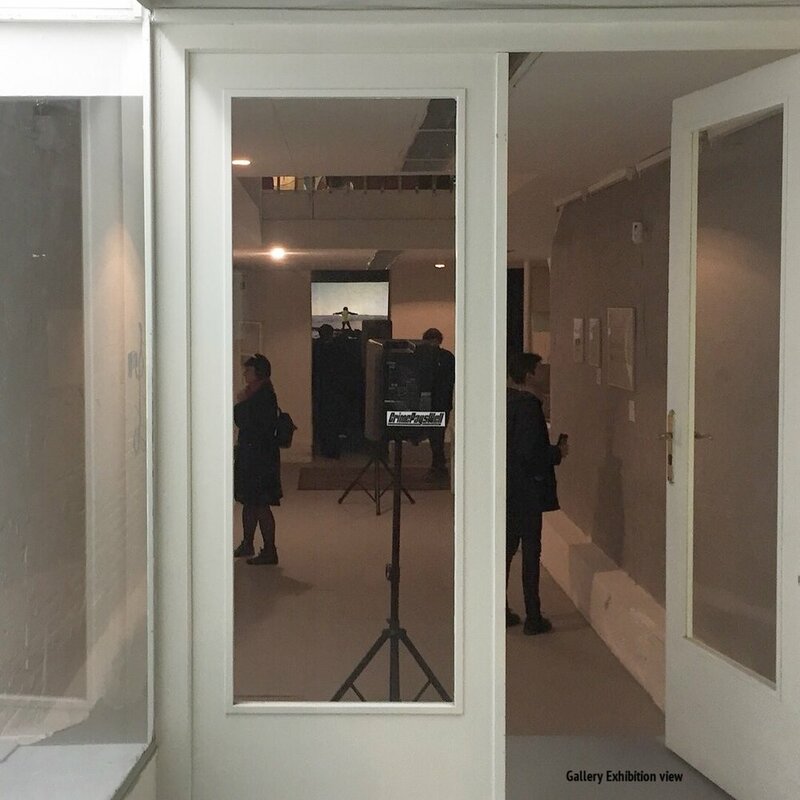 Exhibition Opening @ La Escocesa! “Parallel Tracks” ALBUM REVIEWS ! Today I just found nice reviews for “Parallel Tracks” on some media… and for my own surprise they come from Poland and Italy :) Wow! this is cool! Yes, this is tomorrow at Mutuo Art Center! I will make a presentation of KNOB Shop, with some Modular Synth Introduction and then a Live set by Sun Color. In this Live Sun Color will be joined by amazing Cello player Alex Rodríguez Flaqué. Sun Color @ Compass Jam Session !!! This will be interesting . The good friends from electronic collective Compass have organized a big Jam Session with really amazing artists. “Massive place, talented artists in town, in a workshop involving the first stages of sound exploration and music creation”. Dorado (Downpitch Recordings) : Mario Nieto (Neonized Records / Helsinkipro) : Hi.Moez (HelloGoodVibes) : Mans o (Disboot Label) … and Sun Color! This nice event will take place in the amazing HANGAR, tomorrow Friday 14th Nov. from 8pm till 12pm…. there will be beer, food, and amazing visuals by Quartz Composer show by Mad Center students. 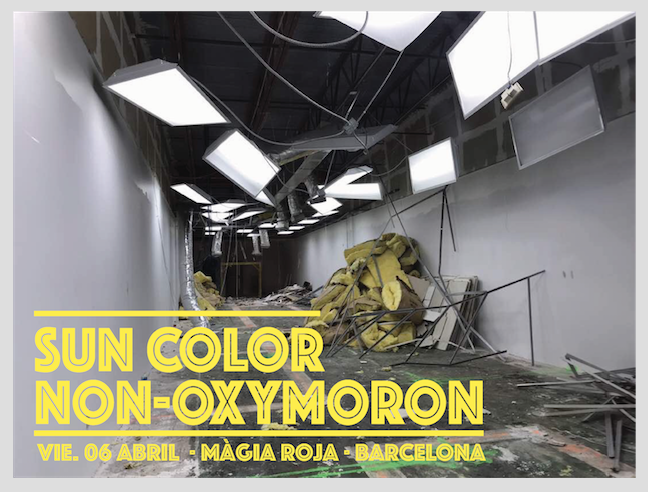 Sun Color Live @ Modular Day Barcelona!!! Oh! Yes, this next Sunday 02 November KNOB Shop together with Befaco are organizing the 1st Modular Day Barcelona! 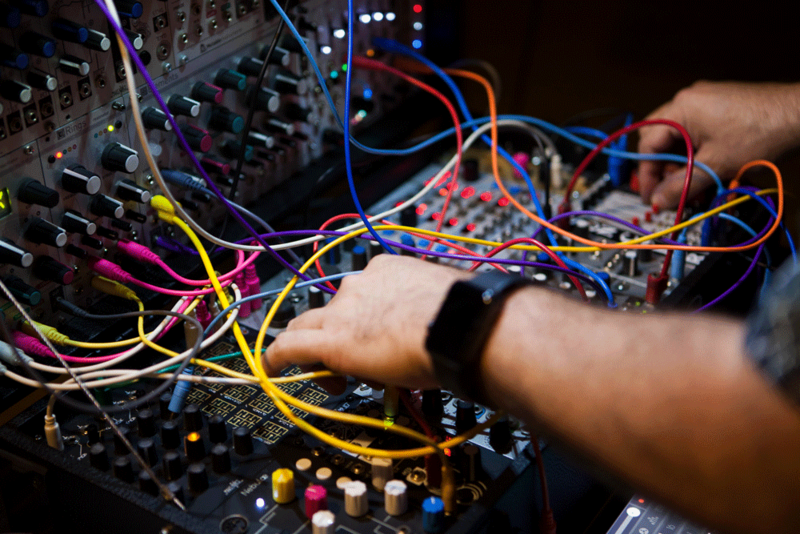 MDB is an event for Modular Synth lovers! There will be a conference by the Argentinian Synth Legend Ernesto Romeo (SSE-KLAUSS), a modular synth fair, concerts by Sun Color, Ralp, Pauk & the Rattle Toy and at the end a big Modular Jam open to the audience to participate with their modular synths…YES!!! This is gonna be so dope! and the event is completely FREE! “PARALLEL TRACKS” by Sun Color (S.C.A.P Records Vol.1) !!! YES! FINALLY! THIS IS PROBABLY THE MOST EXCITING POST I HAVE EVER DONE! SUN COLOR 1ST VINYL RECORD IS COMING SOON !!! IT WILL BE RELEASED ON MONDAY OCT 13TH. PARALLEL TRACKS IS THE VOL.1 FROM A SERIES OF RELEASES BY SUN COLOR ON S.C.A.P RECORDS. EACH ALBUM WILL BE A ESSAY ON SOUND EXPLORATIONS IN A VERY LIMITED EDITION OF ONLY 30 NUMBERED COPIES. THE RECORDS ARE PRESSED 1 BY 1 ON A VINYL LATHE CUT …THIS 1ST VOLUME IS A COMPILATION OF STUDIO RECORDINGS OVER THE LAST 3-4 YEARS. THE RESULT OF THIS ARE 2 TRACKS (SIDE A & SIDE B) 15MIN EACH SIDE. THE RECORD WILL COME WITH A DIGITAL DOWNLOAD CODE. back to school with this GREAT event! La Escocesa Art Center is such an incredible place, this place have the best graffiti and mural art in the city and the energy is amazing! They just invited Sun Color for this event during La Mercè Celebrations in Barcelona with a powerful line-up of artists! Sun Color Live @ Electrovinyes Festival !!! 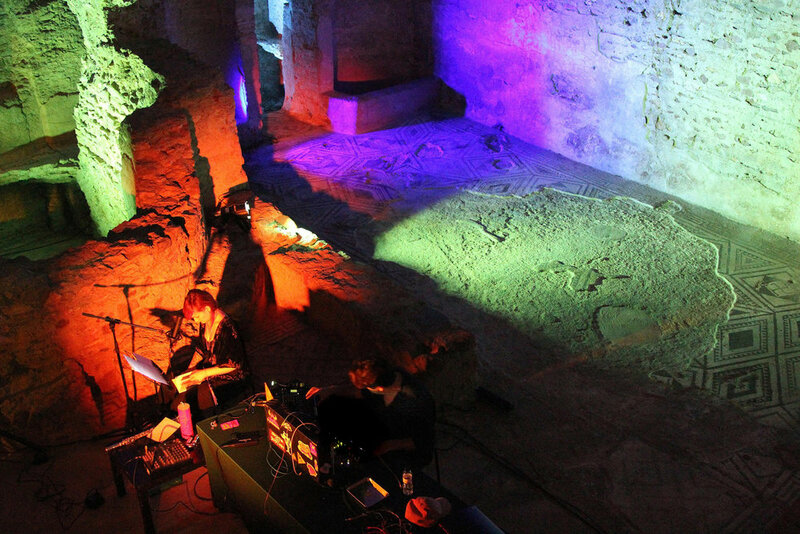 Yes, this is the 1st Edition of this unique Festival dedicated to experimental music in the beautiful and privilege location of Vilafranca del Penedès. Sun Color will play Live Sunday August 24 @ Espai Muntanya de Sant Jaume. Sun Color & KNOB Shop @ ARTENOU FESTIVAL !!! This weekend we will be in Sant Boi for ARTENOU FESTIVAL!!! this is exciting! and during the day KNOB Shop will have a Stand at the Festival! I´m so happy about this, it's a pleasure to work together with Josep Sanou. The record is ready for Pressing and I hope after the summer the first Sun Color Record for SCAP will be OUT! WANDA GROUP + SUN COLOR + SUMBU DUNIA · LIVE !!!! The gig on Saturday was incredible with those great and talented artists Louis (Wanda Group) and Rui (Sumbu Dunia)… Thanks to Sidewalk Bookings for organizing this GIG !!! Here some pics of Sun Color Live show with the new visuals. after gig hanging with the homies Louis (WANDA GROUP) - Rui (SUMBU DUNIA) and Nuno (Sidewalk Bookings). 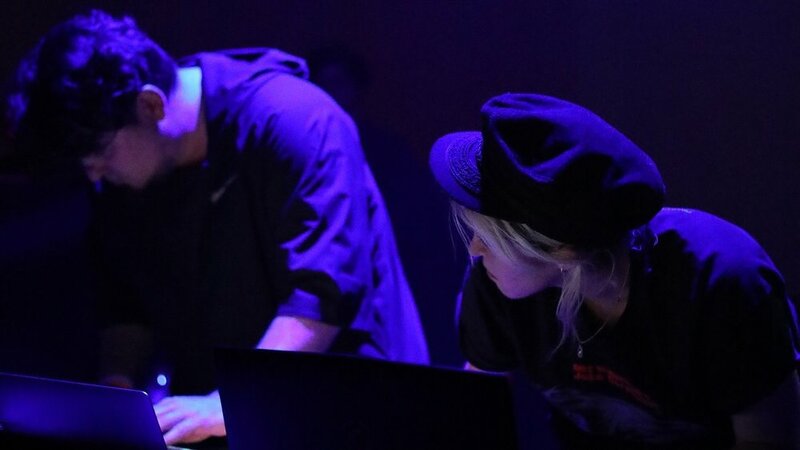 SUN COLOR at MUTEK FESTIVAL (Live pics) !!! Oh! yesterday was a great day… I´ve enjoyed sooo much to play @ Mutek! the sound was great and really thankful so many friends and people showed up! Thanks to all MUTEK Festival organizers for the invitation. Tomorrow SUN COLOR Live @ MUTEK Festival Barcelona! 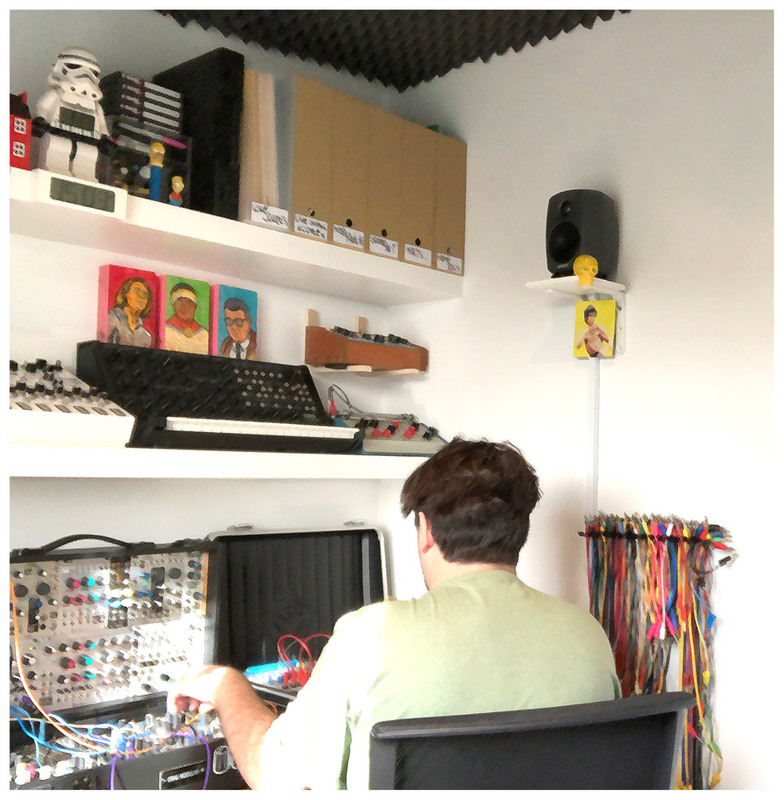 This week I was invited to a Radio Interview at the program Músiques Clandestines · Ràdio 4 RNE (SPAIN NATIONAL RADIO) conducted by Consol Saenz …together with MUTEK Festival Director. I had a great time even though I was nervous. The program will be on air tomorrow Sunday 2nd at 11pm and available to Download this next week. Knob Shop/ Sun Color article at EL MUNDO Newspaper! This is great! I just woke up and take coffee reading the newspaper and BOOM!! this beautiful article about KNOB Shop and Sun Color! you can found this article at EL MUNDO newspaper Tendències magazine page 3!